Walking Cane Company‘s silver plated brass walking cane tip replaces the standard big looking orthopedic walking cane tip. 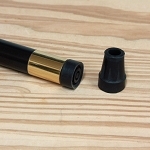 These Brass walking cane tips will enhance the appearance of your walking cane. 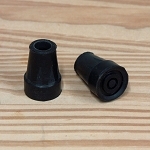 Each tip comes with an extra replacement rubber tip and screw and instructions on how to install this tip. 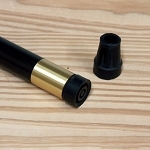 We are the manufacture of this walking cane tip and replacement tip can only be purchased through this website. We sell a 2 pack of tips for $4.00 and a 6 pack of tips for $9.00. These silver platedbrass walking cane tips will fit a walking cane tip with a minimum diameter of .70” to .75”. Machining the tip end down is required to fit. Please look at all the pictures as they contain detailed drawing of the tip so you will know if it will fit your walking cane. If you are buying a walking cane from us and this tip we will install the tip for you free of charge. a $25 saving. Please us the comment box to tell us how long you want the cane to be from the top of the handle to the bottom of the rubber tip. 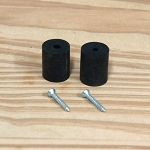 This tip will fit most of the walking canes we sell in the WCC Walking Cane section and Harvy Walking Canes section. There are some exceptions and if that is the case we will contact you via phone or email. 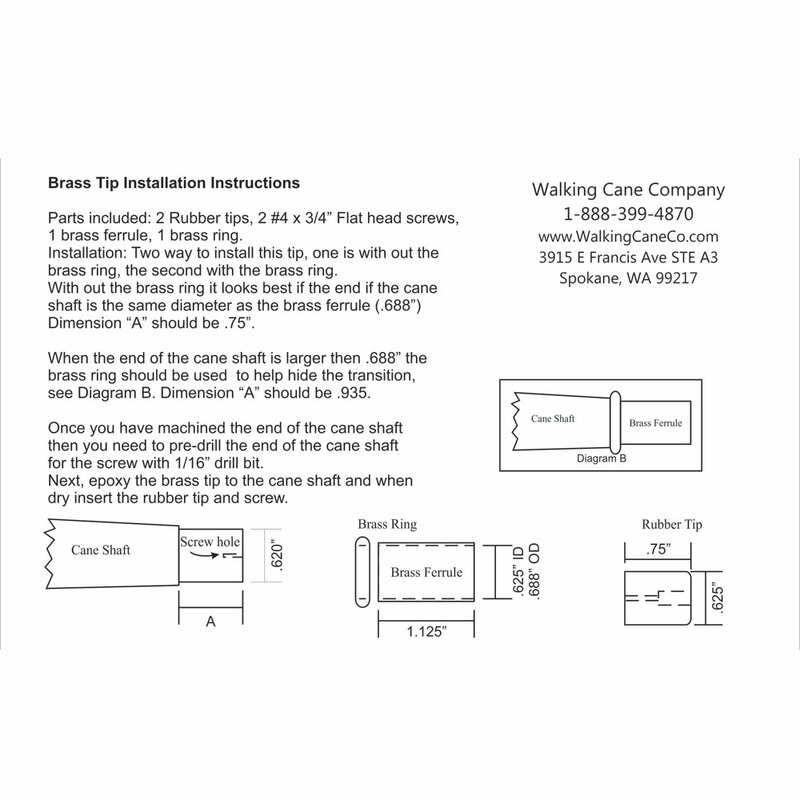 We can install this tip on your cane please call for details and pricing. Brass Walking Cane Tip - Brushed Finish - 1"
Brass Walking Cane Tip - Polished Finish - 1"